Robert Pattinson and Kristen Stewart are Done, Over, Finita etc. 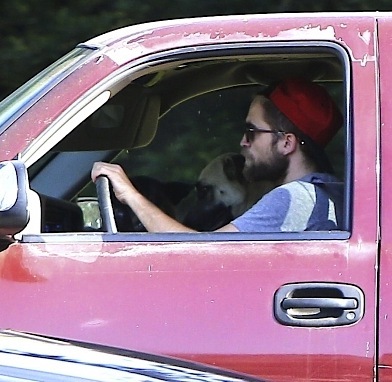 Robert Pattinson stuffed his favorite grease-stained band tees, guitar picks and biscuits into some Glad trash bags and drove his beard and dogs away from Kristen Stewart’s home in Los Feliz. Nobody knows exactly why these two split up for the second or third or bajillionth time, but everyone likes to guess. If a bird poops in the air enough he’s bound to hit his target (human female hair) eventually, right? Certain TMZ employees (and maybe other randoms) think they only got back together for publicity and are splitting now because Breaking Dawn Part 2 is out on DVD. That theory is terrible because the movie came out two months ago. Does the Met Gala serve a purpose, besides as a platform for celebs to outdo each other with extravagant designer gowns doused in gems that cost more than a box of black market livers? WHO CARES. 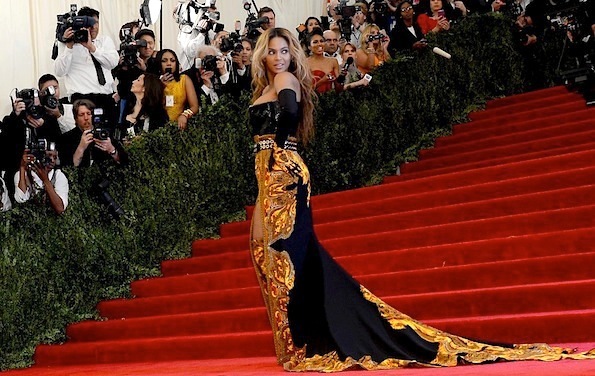 Look at the gold Givenchy dress Beyonce wore and weep poor-person tears. WORST: Miley Cyrus (in meshy Marc Jacobs) and Kristen Stewart (in Stella McCartney). Red pajamas and hair like Angelica’s Rugrats doll? It’s not their fault. Everyone at the ball dressed like a urinal at CBGB because it was the opening of the PUNK: Chaos to Couture exhibition. Jimmy Kimmel released his third “Celebrities Read Mean Tweets” segment on Tuesday to commemorate the six-year anniversary of Twitter existing. The first two featured recent guests like Justin Bieber, Anna Faris, Snooki, Kristen Stewart and Katy Perry reading grammatically questionable Tweets attacking their character, appearance, and/or career. I like to reminisce about all sorts of thing…. the time I ate a pizza that could easily have fed three John Goodmans, that other time I stepped in a red ant nest and vowed to never put on a dress again, and all the times celebrities wore dresses but forgot underwear. (Anne Hathaway, thank you for showing me that vaginas can look just as anorexic as collar bones). Miley Cyrus‘ newfangled haircut may have earned her many a new fan in the lady-loving rainbow community, but who does Cyrus find attractive in Hollywood besides Liam Hemsworth? This was accompanied by a photo of Stewart in a black mesh dress at the London premiere of Twilight’s final film. I guess Billy Ray’s seed will have to find a way to collaborate her. Last minute On The Road soundtrack entry? Charity event? Robert, Kristen, Miley, Katy Perry, Liam, and Kelly Osbourne gangbang? 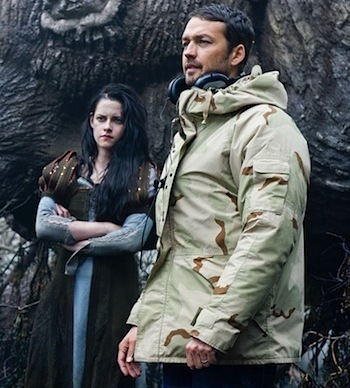 We haven’t heard from or seen much of Snow White And The Huntsman director Rupert Sanders since he publicly apologized for having an affair with Kristen Stewart. Here are some really eyebrow-raising things he said about Kristen in an interview (conducted before the scandal) with Vogue UK.